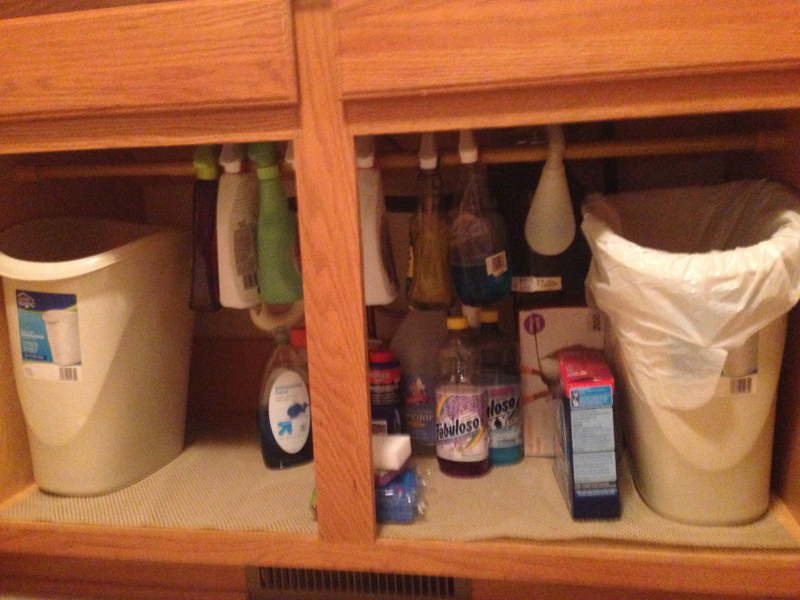 When my mom used to clean for us, she’d constantly complain about how messy under our sink was. In all honesty it was. There was so much crap under there that we didn’t need. 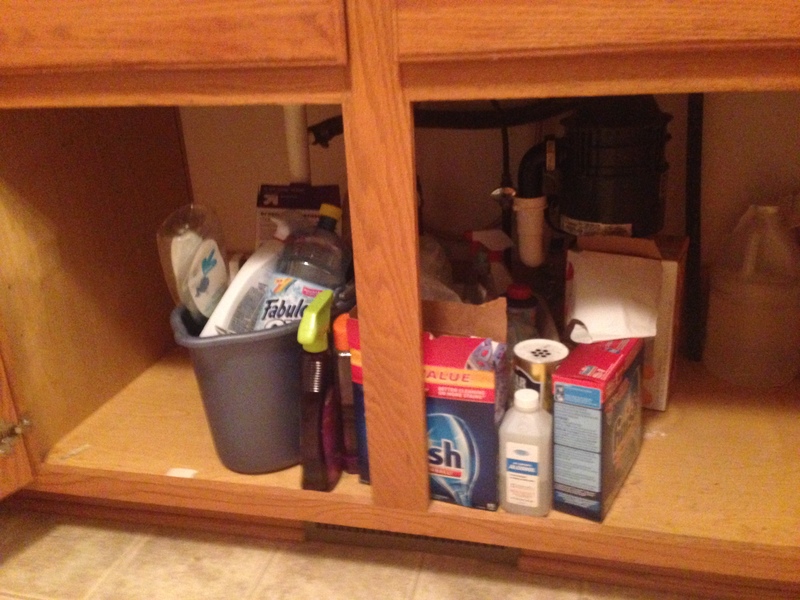 After I ran out of room, I started throwing stuff under the sink in the bathroom. Well, now it’s a perfectly nice looking space thanks to some Pinspiration, purging and a curtain rod. Before….a complete disaster!! So embarrassed after going through it all. Didn’t realize it was THAT bad. After: More space, not so sloppy looking and no more JUNK!! Probably going to add some wire baskets to the doors for the remaining items OR possibly a fun basket. For now, this is what we have and we both like it already. Not to mention, it’s better to have one full bottle of Windex instead of three halves.